Step 1 Peel and chop the pumpkin, sweet potato, carrots and capsicum into small chunks. Step 3 Add a drizzle of olive oil to a large saucepan anc Cook the onion and garlic for 2 minutes. Add the cayenne pepper and cook for a further minute. Step 4 Add the pumpkin, sweet potato, carrots and capsicum and lentils into the saucepan and cover the vegetables with water or stock. Step 5 Bring the saucepan to boil, then reduce the heat and simmer for 20 minutes or until lentils are cooked. Step 6 Using a hand mixer, blitz the soup until smooth and well combined. Step 7 Serve with a dollop of yoghurt, pepita seeds and a crusty sourdough bread. 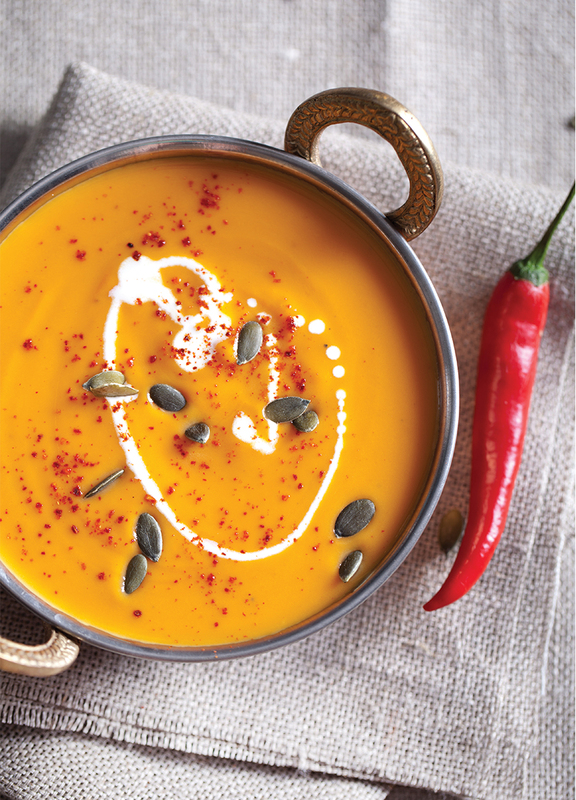 Carrots and capsicum takes this pumpkin soup to the next level and the addition of the lentils will keep you fuller for longer - the perfect hearty winter soup.